Export IBM notes to Outlook 2016, 2013, 2010, 2007 with the help of NSF to PST Converter. The tool supports the conversion of Lotus Notes mailbox items such as emails, contacts, calendars, tasks, notes, journals. 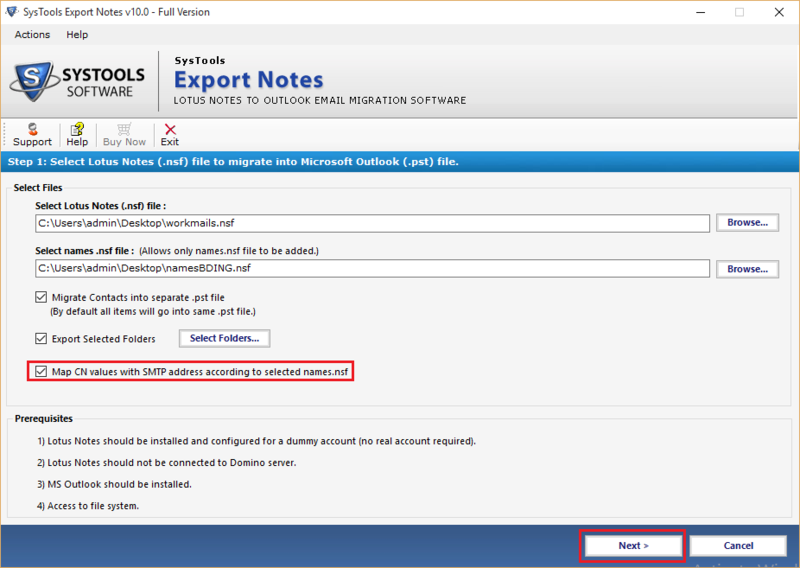 Export IBM note mail to Outlook via NSF file to PST Converter. The software supports to convert encrypted NSF emails to Outlook PST. It also provides the functionality to translate canonical name to SMTP format as per names.nsf file. It also offers to save contacts in separate PST file. The Lotus Notes user can manage mailbox data by applying advance setting provided by the software. The advance settings includes the option such as maintain HTML formatting, Internet Header, Remove Encryption, All Documents, Doc link formatting too. Apart from exporting IBM Notes to Outlook, NSF to PST Converter provides manual email address translation facility. The tool also provides customize folder to folder mapping of NSF mailbox data. The software provides the option to selectively export IBM notes to Outlook via the date filter option. NSF to PST Converter also provides the option to remove duplicate contacts based on the 12 different attributes such as full name, mail address, mobile no, job title, business address, home phone number, location, type, company, birthday, business fax number, business phone number.